I have one more cool wife! On Friday night, March 23, 2007 my wife is giving me a late Christmas gift. I am going to Atlanta to my first ever Michael Card concert. I have wanted to see Michael Card for several years now but he is always way too far north or west for me to be able to attend. Last November I went to his website and started looking through the locations of his concerts and found out that he will be in Loganville, Georgia this Friday. I told Teresa about it and she checked her calendar (she is incredibly organized) and discovered that our kids were out on Spring Break during this time. So with that we started making plans to attend. I will never forget the first time (1997 or so) that I heard Michael Card. I was in the CT department at Flowers Hospital and it was in its usual mode of extremely busy. I leaned up against a counter as we were waiting for a patient’s scan to be completed. Directly behind me in a cabinet was a “boom” box and a Michael Card CD was playing. In the two minutes or less that I heard of his music, it hooked me. The CD that was playing was “Unveiled Hope.” That very day that I left work I went and purchased the CD. 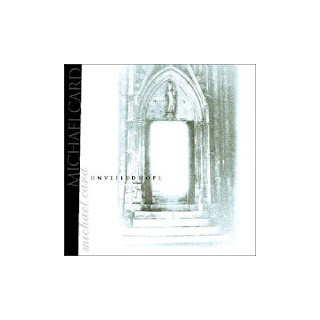 The music of Michael Card has a great impact on my own life and has also affected some of my preaching. 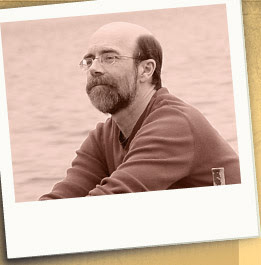 His music is so Scripture-driven and he is a thinker who puts so much into the wording of the music that he writes. In addition to the power that he has with words, he is incredibly talented musically. He can play a massive array of instruments from a piano ranging to a hammered dulcimer and a whole lot of other instruments that fall in between. The way that his music has affected my preaching is that when I listen to his music there is a meditation factor with Scripture that comes into play. One particular song (which I will review the CD in another blog post) is entitled “The Job Suite.” It is seventeen minutes long and literally works through the entire book of Job with this song. If you are familiar with Scripture you recognize phrase after phrase that flows out of his music. That is where his music plays into the preaching. I have had literally hundreds of sermon thoughts (honestly) while I have listened to his music. I have preached “Gomer’s Song” from his music about Hosea and Gomer. I have preached “The Basin and the Towel” that I gained inspiration from his song by the same title. I have also written several Barnabas Letters that were inspired b y some of his music also. After purchasing “Unveiled Hope” I have scoured numerous Christian bookstores all over the country trying to complete my collection of his music. To this point, I have pretty much obtained all of it except for some of the early stuff. Sometime after getting “Unveiled Hope” the internet took off and I started reading about Card’s music in various places. I discovered what made his music so incredible! He will take a book in the Bible and study it intensely for several months and then will write a series of songs on that particular book. That is what made “Unveiled Hope” so powerful. He took the book of Revelation and wrote 10 songs and three instrumentals from the inspiration that he gained from his study. He opens “Unveiled Hope” with a Prelude, includes an Interlude in the middle, and ends it with a Reprise. In between those musical scores (which are very good), he writes 10 songs. I challenge you to find any musical artist who has music that is so Biblically driven in this generation! The second song “The Unveiling” comes from 1:1. He keys into that single moment when Jesus Christ is suddenly revealed in all of His Majesty. Michael wrote in the CD insert beginning the song these words: “It is that split second that John wants us to savor. The moment when the Bible says Jesus will be ‘marveled at by those who believe.’ The moment when all we ever hoped for will be unveiled and we shall see Him at last.” The song itself is loaded with imagery of Jesus Christ and the power with which He will enter the ‘unveiling’ as the Alpha and Omega. Michael plays a Celtic Harp. The London Session Orchestra accompanies them. “To the Overcomers” draws its wording from 2:3 and all the other references to the seven churches where the Lord promises that those who overcome will be given certain rewards because they overcame. “You Are Worthy” is written from a collection of references (4:11; 5:9; 5:12-13). This song is huge with Michael’s ability to put to use incredible irony in what John is seeing. He sings (note the paradox): “Then a voice said, ‘See the Lion of the Tribe of Judah’ So I looked to the Lion and saw a Lamb that was slain.” This song is loaded with Bible! In the back ground is what sounds like an old Hammond church organ that adds a lot of “umph” to the song. He also has a choir that backs him up which even puts it more into that “Pentecostal” feel that I have grown up with! Fantastic song! “The Dragon” (12:13) follows and what stands out most in this song is Michael Card’s talent with an acoustic guitar. 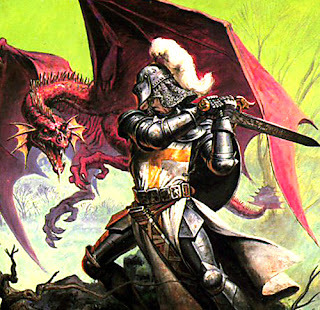 The dragon is defeated by the Word and the Blood of the Lamb. The two very things that destroy the devil (Word and Blood of the Lamb) are progressively being removed from modern churches in America. 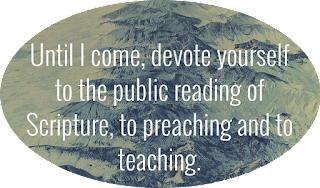 We need an old fashioned renewal of the Word of God in our pulpits. Furthermore, we who preach the Word desperately need to return to the preaching of the Cross. Numerous references are made among the Epistles of Paul about the Cross and its power. If it worked in the 1st Century, I believe it will work in the 21st Century! Following is a song that again demonstrates more of Card’s ability with musical instruments. 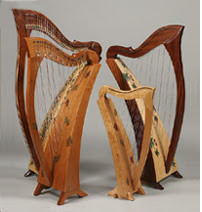 He plays again the Celtic harp on “The Song of the Lamb” (15:3). It has a huge array of what is referred to in the sermons of the Puritans as “word pictures.” He uses: A sea on fire, Angels with Bowls in their hands, Smoke and Glory, Slain saints and prophets, and Just and True. The next song is a song of exultation over the stronghold of the enemy. It is somewhat of a continuation a previous song, “The Dragon.” In that song the focus is on the devil finally being overcome. “The City of Doom” is a song that tells of the destruction of the city of the system and city of the devil. It comes from the entire chapter of Revelation 18. This song will make you want to get out of your chair. . . The first stanza of this song is powerful: Come out of her, my people, And never go back again, For all her vulgar vanities, Have been heaped up as high as heaven. There is coming a day for those who are faithful that we will see the devil and his city entirely destroyed! We must remain faithful and steady in our calling and in our quest for Jesus Christ! “The New Jerusalem” from Revelation 21 is preceded by “Hallelujah” (Revelation 19). If you purchase and listen to this CD, you will notice a sequential progression of Michael literally singing through the book of Revelation. The insert has this prior to the song “The New Jerusalem”: If Babylon is the wicked harlot of a city, Jerusalem is the spotless bride. If Babylon is heading toward sudden eternal destruction, Jerusalem is proceeding to the final everlasting wedding. The place called “The City of Peace,” which has for the last several thousand years been anything but peaceful, will at last live up to her name. As for his other projects, Michael Card has worked on Hebrews (Soul Anchor), Mark (Scandalon), the character of Peter (A Fragile Stone), and a number of others that I will get to later in my blogging. I intend on giving a good description of the concert on Friday night also. I wish that I could say that when this creature appears in your life that it is indeed a wicked monster. I wish that I could say that it is a two-headed beast that issues sulfurous vapors from its nostrils. I wish that I could tell you that you could catch of a whiff of a disgusting odor that emanates from it, something you smell long before you ever see. I wish that I could tell you that it was a fire-breathing dragon whose scales rattled down a long serpentine body. I wish that if you even knew it was near that such a fear would seize you that the hair on your neck and arms would stand up and that a panic would clutch at your throat nearly immobilizing you. . . . . But sadly enough when this “beast” enters the life of a man, rarely does a sense of vigilance or concern awaken. The premonition that something sinister is about to happen is absent. When this two-headed beast enters your life, he is so well-dressed and debonair, that immediately you will listen to the soothing voice that flows from his silver tongue. Surely, this “beast” means no harm. He is too presentable, too right, too becoming, too decent, too proper. He is not lewd, nor disgusting, nor improper. This “beast” generally takes your side. His advice is overwhelmingly right. But he still is a two-headed beast, may you never forget that. This two-headed beast of self-pity and blame, at times, slides into all of our lives. When you sit as the minority the two-headed beast of self-pity and blame will ultimately ruin you. Self-pity wants you to feel sorry for yourself, sorry that you do not have the correct “talents”, the right “time”, the right “opportunity”, or the right “connections.” Or blame will cause you to look at the blessings of others and prescribe some “reason” as to why God is working with them and your life remains in the proverbial holding pattern. Self-pity usually rears its ugly head after some great defeat and at times even after some great accomplishment. Self-pity brings on a great dirge of whining, crying, and wallowing. All over again the scene of Ahab’s pathetic misery when Naboth refused to give him the heritage is repeated. Time is spent seeking a sympathetic ear for the miserable circumstances that are consuming our lives. Never fear there are always plenty of “Jezebels” around to concoct some plan that will bring grief to everyone involved if she has her way. Every able bodied man will have to fight these feelings when he stands against the enemy of the Kingdom. However, these things need not rule us. 5. It robs the soul of faith, hope, and creativity. Remember that the place you are serving has great potential for revival and church growth. It has great room for personal growth. Don’t let your heart get contaminated with the biases and prejudices of self-pity and blame. Brothers. . . We Must Preach The Word. . . I really wish that I could preach! I know that it is perhaps a very selfish desire but I would love to be able to preach the Word! This is not a new desire that I have, in fact I can remember leaving the chapel services at Texas Bible College (’89-’92) with the whole-hearted desire to be able to not only preach the Word but to master the word. I had mentors at that school who were preachers. During my tenure there, J. R. Ensey was the President. A. B. Keating was the dean of students and Kelsey Griffin and David Hunt routinely pounded on us in class and chapel about the importance of preaching the literal, God-breathed Word. These men were not my only motivators either. I had the opportunity to work with some of the greatest minds in medicine in Houston at the Texas Medical Center. Their passion for the progress of medicine was like pouring gas on the fire that raged inside of me to labor for the Kingdom. Brothers. . . We Must Preach The Word. . . . . The instructions of these godly men took root deep within my spirit and I have continued to have a passion about preaching. Over the years, I have worked steadily at building a library that contains a little over 3000 volumes and I intend on continuing to acquire more as funds allow. J. T. Pugh once said, “If you are going to be a great preacher then you are going to have to be a great reader.” Furthermore, I literally have thousands of cassette tapes that I continually use to strengthen what few talents that God has given to me. I have traveled to far places to speak with men about preaching and the necessity of a focused power from the pulpit. Brothers. 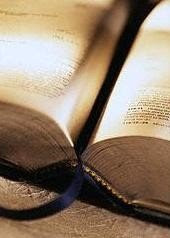 . . We Must Preach The Word. . . .
My study can sometimes be a very frustrating place to work in because I cannot see the fruit of my labors (which I think is the way that God generally intends it to be). On the other hand, the study can be a place that the holy breath of God fills and empowers my heart and spirit for the task at hand. I read about one of the old Puritans who wrote in the flyleaf of every book he purchased: Thou art a minister of the Word; Mind thy business. What a challenge to those who handle the Word in our times! Because of the impact of A. B. Keating on my life, I believe in verse-by-verse exposition of the Word. Because of the impact of J. R. Ensey on my life, I believe that your message needs to be put together well and have no loose ends hanging. But because of the impact of Kelsey Griffin on my life, I believe in notes. Not just a few notes but copious, detailed, intense notes. So with the accumulation of all of my sermon notes over the years, I decided that I need an outlet for them. Since I am not on the conference circuit, I thought that maybe these notes could be beneficial to another weary laborer somewhere in the world. It was with that thought that I started posted my notes on SermonCentral.com. I did have a much smaller motive in that I wanted their Powerpoint background slides. To be eligible for this one would need at least forty sermons on the site to get them free. So I started uploading and it wasn’t long before I started getting e-mails from different places around the country saying the notes had been a blessing to them. Oddly enough, I posted a message on Hell and in just a matter of weeks that message rose to the “Top Ten” messages on Hell. That was a little surprising to me because I thought that very few really preached on the matter of Hell. I was almost speechless when this man told me this. I then asked him who he was. He told me that he was credentialed with a large “Pentecostal” organization and had been in the ministry for almost 50 years. He currently is pastoring a church but he told me that he longs for the days that revival would come back to them. He told me that he had been an evangelist for 10 years back in the ‘80’s and ‘90’s. He related that his run on the field had brought him into a lot of “dead churches” as he termed it. He told me that he longed for the days when the old glory might return to their churches. He felt that affluence, materialism, and a loss of holiness had devastated these churches. He told me that until there was a real return to sacrifice, prayer, commitment and revival that very little would ever come about in these churches. He said that these places had become nothing more than social clubs. He then asked me if I knew Jerry Jones and James Kilgore. I told him that I knew them simply by name. This pastor related that he had numerous cassette tapes of these men and he frequently listened to them. He also told me that he had long ago quit listening to the preaching offered by his denomination because it had no real spiritual life in it. Dead preachers give dead messages! We live in an age when the majority shuns the strong Word of God. Our age is highly impressed with how they “feel” about the Word and very little care is given to expectations of the Word of God. Yet, there is a minority who are growing spiritually and their lives and prayers are waxing very strong. Because of those few, our mandate is to preach the Word! Myth # 6: We Must Be Careful in Our Teaching and Preaching So That We Do Not Communicate Deep and Complex Biblical Truths That Will Confuse the Unchurched. But Susan was sorely disappointed with what she heard. “It was more of a pop-psychology message. The biblical view was never explained. Bible texts were hardly mentioned,” she lamented. Here is another excerpt from page 54: First, in our research of over four thousand churches across America, we have seen clearly that many congregations are abandoning the biblical model of pastoral ministry. Instead of allowing pastors the necessary time and encouragement to spend time in prayer and in the ministry of the Word (Acts 6:4), congregations are demanding time and energy from their pastors for tasks that have little biblical foundation. 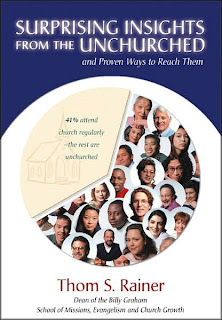 I fear that as we begin to report the critical role of pastoral leadership in reaching the unchurched, new and unreasonable expectations will be placed on already overburdened pastors. Like the leaders of the Jerusalem church in Acts 6:1-7, if pastors have to meet all the perceived needs and demands of church members, they will have little time to give to their primary calling of preaching and the ministry of the Word.